In Part 93, of this video series we have discussed about locking user accounts, if a user repeatedly enters the wrong password. The accounts are locked to prevent hackers from guessing passwords and dictionary attacks. Please watch Part 93, before proceeding with this video. In this video, we will discuss about unlocking the locked user accounts. There are several ways to unlock the user accounts. Approach 1: The end user calls the technical help desk. The authorised person can issue a simple update query to remove the lock. However, running UPDATE queries manually against a production database is not recommended, as it is error prone and we may un-intentionally modify other rows that we do not intend to update. Approach 3: Another approach would be, to create a SQL Server job. This job checks tblUsers table for locked accounts periodically and then unlocks them. The frequency at which the job should run is configurable. In this video, we will discuss about creating and scheduling the SQL Server Job to unlock user accounts. First let us write the update query to unlock the user accounts. For example, The organization's policy is that, the user account can only be unlocked after 24 hours, since the account is locked. The update query to satisfy the organization's policy is shown below. DateDiff function is used in the update query. If you are new to DateTime functions in SQL Server, please check this video by clicking here. Let us now, schedule this update query to run every 30 minutes, every day. This can be very easily done using sql server agent jobs. 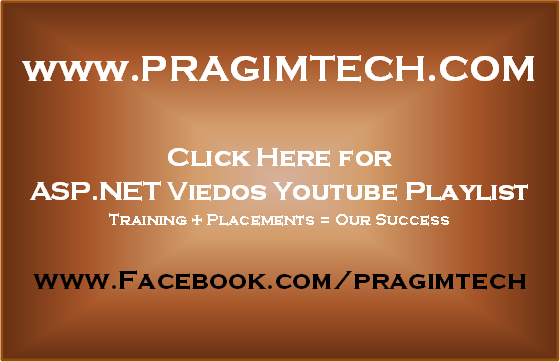 In this video, we will discuss about creating and scheduling sql server agent jobs, for sql server 2008. 2. In the object explorer, check if "SQL Server Agent" is running. 3. If "SQL Server Agent" is not running, right click and select "Start". 4. Click on the "+" sign, next to "SQL Server Agent" to expand. 5. Right click on "Jobs" folder and select "New Job". 6. In the "New Job" dialog box, provide a meaningful name. Let us call it, "Unlock user accounts job". 7. Fill in Owner, Category and Description fields accordingly. Make sure the Enabled checkbox is selected. 9. In the "New Job Step" dialog box, give a meaningful step name. Let us call it "Execute Update Query"
10. Select Transact-SQL Script as "Type"
11. Select the respective Database. 14. In the "New Job Schedule" dialog box, give a meaningful name to the schedule. Let us call it "Run Every 30 Minutes Daily"
15. Choose "Recurring" as "Schedule type"
16. Under "Frequency", set "Occurs" = "Daily" and "Recurs every" = "1" Days. 17. Under "Daily Frequency", set "Occurs every" = "30" Minutes. 18. Finally fill in the schedule start and end dates, under "Duration"
19. Click OK, twice and you are done. This job, will run every 30 minutes daily, and unlocks the accounts that has been locked for more than 24 hours. I look forward for your videos everyday. You are doing great job. Keep up the good work. Regarding this topic: Wouldn't SQL Server Policy Management be another approach to resolve this issue. This way we can set the security policy to be 3 attempts across all the databases in the enterprise and also set up unlock rules to remove the lock if it is past 3 attempts. Just a thought. dear arvin , cheak the store procedure u created may be u set the returncode=1 instead of -1. Check for a valid Username against the database first and then check whether the account is locked or not. That should take care of the issue. Thanks to your videos, they are very helpfull and also interesting. I want to use master password instead. Means if any user's account is locked and he enters master password in password field then it should unlock his account. I want to create a SqlServer Job, But i dont find SQL SERVER AGENT in my SSMS.